Join Madeline in race through Paris as she hunts for Genevieve's lost pups. 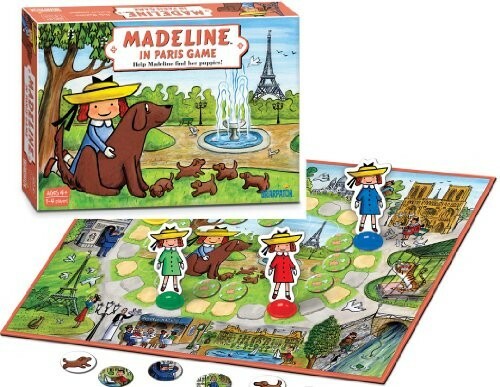 This perfect first board game for young Madeline fans offers both cooperative and competitive ways to play. The game encourages memory and matching skills, visual interpretation, and social skills. 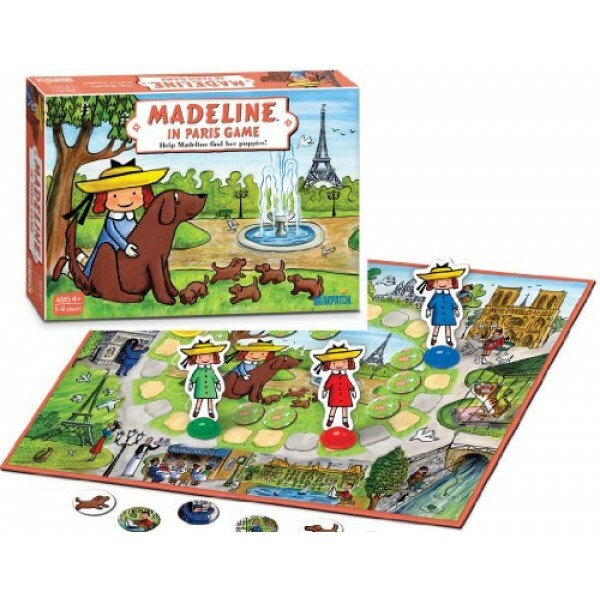 This game for 1 to 4 players includes a game board, Madeline playing figures with stands, 15 game tokens, rules for two ways to play, and a brief guide to Madeline's Paris.